The Legend of Zelda: Breath of the Wild’s latest update is here. Nintendo just released version 1.3.0. 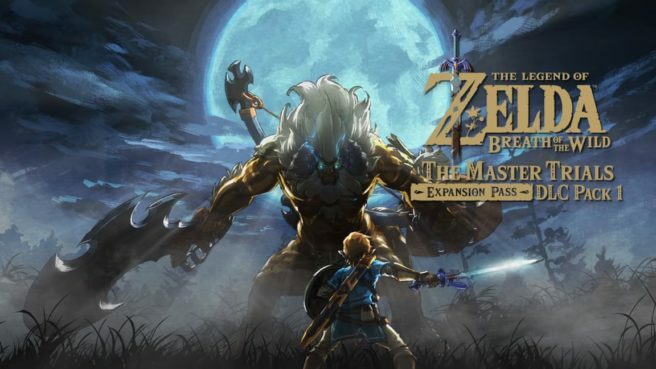 Of course, the big highlight here is the addition of Zelda’s first DLC, The Master Trials. Nintendo has also implemented various fixes. – Expansion Pass: DLC Pack 1 “The Master Trials” is now available. If you have already pre-purchased this content, you can now play it by updating both the DLC and the software. You can update your purchased DLC through Nintendo eShop. – Various fixes to improve gameplay.